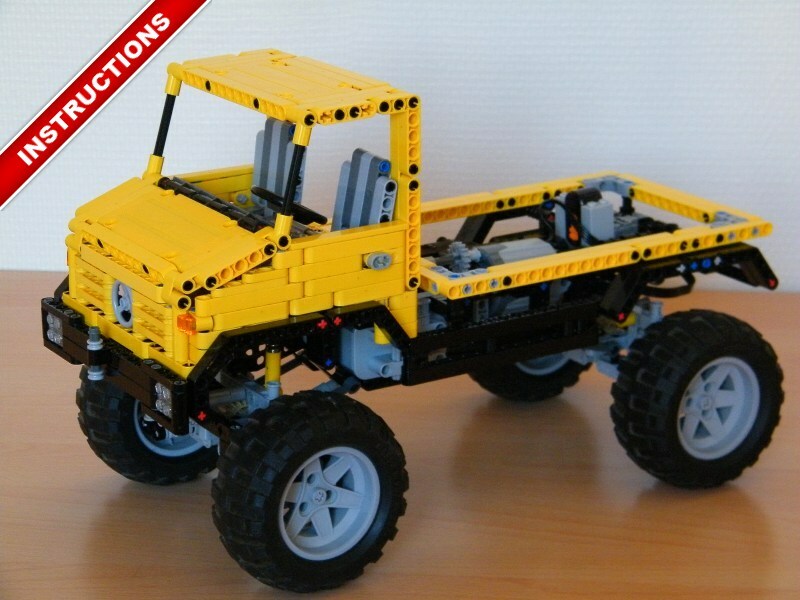 Great unimog, thank you for instructions! I am in love with the cab of this truck, very realistic and well built. Cool! Would the new 8110-tires be too big? Very nice Unimog. I've checked quite some of your creations and I love them all. This one is nice too, keep it up!!! I built it with the 8110-tires and looks good, thank you again Nico. That's very cool. I could never imagine having RC legos. I own a couple Traxxas RC models and I bash the hell out of them. Then again, I guess the Lego RC stuff wouldn't go as fast. Very nice truck though. I'd be interested to see any updates on it. I really like this new trend (or is it new) of making a single thread to collect what you are building and how you make progress. It is a nice looking 'mog, I would love to see some more electrified functionality. Jeep Differentials cracks because of the 12th gear inside, what it is impossible to figure out. With the unimog, it is 3 times faster and the gears can't crack, the motor stalls. the differential is good for turning abilities but it is quite difficult to anticipate the diff's sliding. Again rammacco, many thanks for the offer but I can't be in belgium at this meeting, too bad ! I hope you will create a post or topic to see Trial Truck in motion during this meeting. I've built the chassis of the Jeep as well. I like the live-axle construction very much. I removed the differentials and replaced them with knob-wheels, but in my chassis, I still hear gears cracking, when the XL-motor must deliver much power. I still haven't found out why. Video of the competition is coming soon! I will surely create a topic on EuroBricks. This is my entry for the setechnic star wars contest. Not easy to greeb with tecnic parts ! looks both great! have you more pics from the morgan? That Morgan is fantastic! I love the working pushrods and rocker arms. Nicely done. I love the Morgen, really cool !! I am working on the rear of the Morgan. It is quite difficult, not because of the shape, but because of the homogeneity of the constructions ! I am trying to mix flex / panel and classic beam design.